Maybe, Drew Barrymore and Cameron Diaz continue to be friends after all. The two famous actresses were spotted together as they were doing some shopping in Los Angeles. So, Cameron and Drew spent a day together during the weekend, checking out some stores in the city. The two have been friends for several years. Both Drew and Cameron seemed quite happy, as they were seen walking together in West Hollywood. Some reports claimed that the two actresses were actually looking for something, as they were seen checking out some furniture stores. It seemed that Drew was helping Cameron shop and they both looked very relaxed. The fact that Drew and Cameron are still best friends was very simple to notice as Drew also shared a pic on Instagram to reveal their friendship. “Getting out of your house with your girlfriend. And being a whole person, with your sister. Remember to spend a moment with the ones you love in your busy life. She has made me feel beyond beautiful. Always has. Always will. #thankgodforyourfriends. They rejuvenate and confirm everything,” Drew shared along with the pic on Instagram. Drew Barrymore and Cameron Diaz first met 17 years ago. The two stars met on the set of Charlie’s Angels and have been close friends ever since. Although they were constantly seen hanging out together, some recent rumors have claimed that Drew and Cameron are no longer friends because of Cameron’s husband, Benji Madden. The rumors said that Drew did not like Benji and believed that her friend deserved so much better. The rumors also claimed that Drew believed that Cameron had changed a lot because of her relationship with Benji. While the two famous actresses have not addressed any of these rumors, it seems that they were dismissed by the fact that Drew and Cameron spent quality time together. Gwyneth Paltrow and Chris Martin are one of the former celebrity couples who have managed to impress with their very close friendship despite their separation. The two stars are very good friends, even though they separated years back. They are also successfully co-parenting their two children. However, even though things seem to be working out great for the two, it appears that there is someone who is not happy at all with this relationship. We are talking about Gwyneth’s current boyfriend, Brad Falchuck. Allegedly, Brad is jealous that Gwyneth and Chris are so close and he is actually tired of seeing her cancelling their dates because of the children or of Chris. Brad does not like the fact that Chris spends so much time with his girlfriend, and even more than that, since Chris has become single once again following his split from actress Annabelle Wallis, he has been even closer to his ex-wife. “Chris has been really needy around Gwyneth since splitting with Annabelle and it’s pushing Brad’s buttons big time,” a source explained according to OK!. The insider also said that Brad does not like the fact that his actress girlfriend commonly cancels their dates or postpones weekends away because her ex-husband or her children need her. Of course, Brad is not happy that he is always second for her. “It’s very clear they come before Brad each and every time.” Well, the insider said that Brad is not absurd and he understands that Gwyneth is a mother, being very patient about this whole situation. However, he “has had enough at this point,” as “she’s walking all over him.” Of course, the claims have not been officially addressed. But, the thing that is certain is that ever since they ended their marriage, Chris and Gwyneth have constantly been seen together in the company of their children. They have managed to put their children first and remain committed parents. The two stars separated in 2014. They have two children together, Apple and Moses. 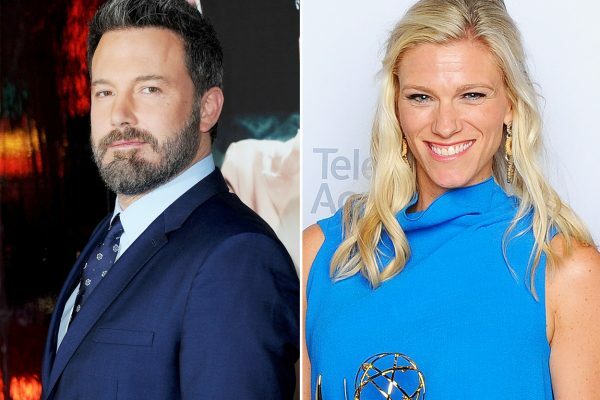 It seems that famous actor Ben Affleck is once again linked to a scandal. Some rumors have claimed that the popular actor cheated on his estranged wife, Jennifer Garner, while the two were still married. Allegedly, the affair happened in 2013 when Ben and Jennifer were a married couple. And not only Ben is said to have cheated on his wife. We can say the same thing about Lindsay, who was also married at that time. The cheating story was first revealed by People, which claimed that the two started an affair although they were both married. Lindsay Shookus, the Saturday Night Live boss, was married to Kevin Miller, who was also a producer at the famous television show. The two allegedly saw each other for a few years, but they finally separated. It has not been revealed when Jennifer Garner found out about this affair and if this has been the reason why she and Ben separated. Furthermore, soon after this report emerged, another report claimed that the whole story was untrue and although Ben and Lindsay have known each other for years, they were only friends. “They’ve known each other for a while. They’re dating – it is relatively new since he has been separated. It’s still in a really early stage. He’s working on himself, he’s working on being happy and healthy,” an insider said. “There is not one reason why any marriage breaks up,” it concluded. According to the latest rumors, Gwen Stefani and Blake Shelton might already be married. The rumors are saying that the two famous actors wedded in a secret ceremony and have managed to keep the whole thing away from the public’s eye. Furthermore, it has been claimed that even though the two were very happy living together, they finally decided to make this step. 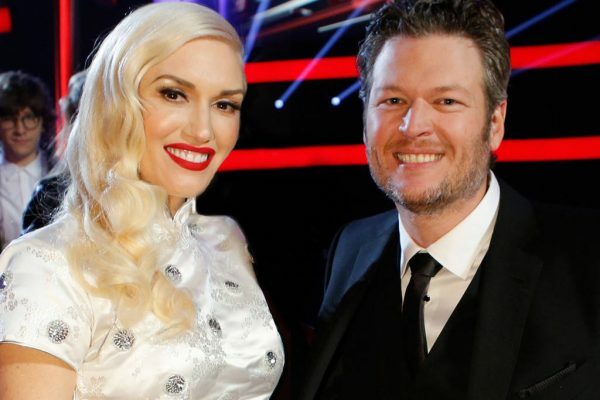 Blake Shelton and Gwen Stefani first started dating in 2015. The two started dating soon after they both divorced their previous spouses. Well, it seems that things have evolved and the relationship has become very strong, so now Gwen and Shelton are married. Reportedly, the wedding ceremony was attended by only close friends and family, and was kept a secret from everyone else. The news was reported by Life & Style, which claimed that the ceremony took place in the backyard of Gwen’s house in Los Angeles. A source told the celebrity site that the ceremony has been very low key. “After hitting a rough patch in their romance earlier this year, they have reconnected and are stronger than ever,” the source said. “They want to be together forever, so they decided to just do it. They were in the backyard at Gwen’s home in L.A. with just family and a few close friends. It was super low-key,” the same insider explained. The source also revealed the reason why the ceremony has been so low key. The insider claimed that it was all because Gwen wanted the wedding to be about her and Blake and not about what she is wearing and what the media says. The source also claimed that this does not mean that Gwen and Blake will not have another, bigger, ceremony later. However, what the insider claimed is that it was all about love. Furthermore, the source said that Gwen felt very blessed to have met Blake. “Gwen… spoke about being so blessed to have found love again at this stage in her life. She didn’t believe in love after getting divorced, but Blake showed her a whole new world,” the source concluded. The rumor was dismissed by a rep for Blake. Happy news from famous couple Beyonce and Jay-Z. The two stars have just welcomed their twins. 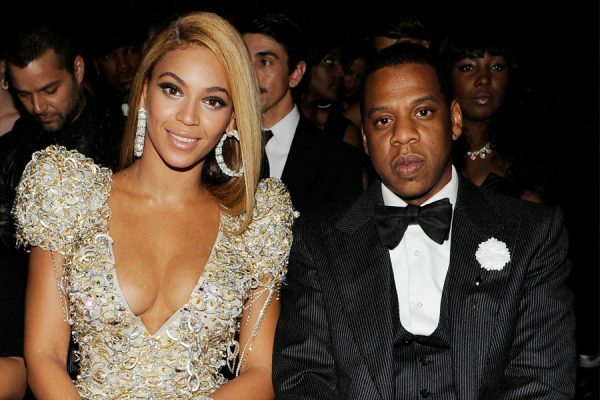 Apparently, Beyonce and Jay-Z have a baby girl and a baby boy. The famous couple are already parents to a daughter, Blue Ivy, who is 5 years old. As imagined, the two singers couldn’t be happier with the new addition to the famous. “Bey and Jay are thrilled and have started sharing the news with their family and closest friends,” an insider said according to People. The happy news was not only confirmed by several sources, but also by Beyonce’s father, who took to Twitter to confirm the news. “They’re here! #beyonce #twins #jayz #happybirthday,” the message shared indicated. Beyonce and Jay-Z made no comments at the moment. The famous couple confirmed the fact that they were set to welcome a baby back in February. At that time, Beyonce shared a maternity photo on her Instagram account. She also revealed through a message that she and her husband were set to welcome twins. “We would like to share our love and happiness. We have been blessed two times over,” the star said back then. “We are incredibly grateful that our family will be growing by two, and we thank you for your well wishes,” the famous singer added. Soon after, several sources claimed that Beyonce and Jay-Z wanted to have a child for quite some time. “They wanted another child and after a few years of trying, it’s a great feeling,” a source said then according to People. The same insider claimed that the famous singer was very happy with the pregnancy news. Some sources claimed throughout the pregnancy that Beyonce has not been dealing easily with her pregnancy, considering that carrying twins is more difficult for any expecting mom. Still, the star was spotted at various events while being pregnant, including the 2017 Grammy Awards. She also shared a lot of pictures from her baby shower. The star also posted on social media a lot of pictures of herself with Blue Ivy. Ben Affleck to Make Movie with Jennifer Lopez? Ben Affleck has been more and more linked to Jennifer Lopez lately. The latest rumors claim that the famous actor and his former girlfriend could actually work together. So, it has been said that Ben wants to make a movie with Jennifer Lopez. The news was reported by Radar Online, which revealed that Ben has been asking Jennifer to work with him at his upcoming movie project. Ben and Jennifer were a couple years ago. They were even engaged, but the romance ended and Jennifer went to marry Marc Anthony, while Ben wedded Jennifer Garner. So, the report claimed that the idea of Ben working with Jennifer is not actually new. In fact, the famous actor has previously expressed his intention to work with J.Lo, but his former wife Jennifer Garner was against this idea. So, he just postponed it and now since Ben is no longer married, he can team up with J.Lo. The report claimed that he has been begging Jennifer Lopez to accept the movie role. The insider went on to clarify that this does not mean that Ben Affleck is interested in a romantic affair with Jennifer. He is actually just willing to work with her. “He swears this isn’t about any kind of crush he has on Jennifer but that he wants to right the wrong with a script that would bring them both a great sense of closure,” the insider concluded. Since the split from his former wife, a series of rumors have claimed that Ben Affleck may be willing to get back together with Jennifer Lopez. However, these rumors were never confirmed. 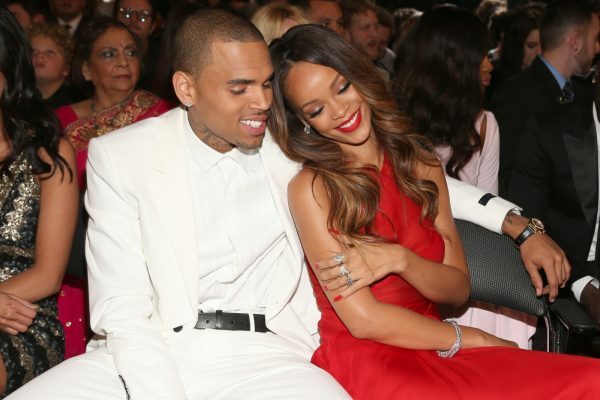 The love story between Rihanna and Chris Brown seems to never end. According to the latest rumors, Rihanna is still in love with Chris and she actually wants him back. The latest rumors indicated that the famous singer is still not over her relationship with Brown. The news was reported by Hollywood Life, which claimed that Rihanna still has very strong feelings for Brown and this means that she might even want to reconcile with him. The whole story started after Brown released his documentary Chris Brown: Welcome to My Life. It seems that this documentary triggered some feelings for Rihanna. “It’s a bittersweet situation. Obviously it ended on a horrific note, but up until that point it was great between them ‘ at least most of the time,” a source said according to the celebrity site. “Rihanna can’t help thinking ‘what if?’ and how different her life would be if she and Chris tied the knot,” the same insider went on to add. Although Rihanna is aware that a relationship with Chris is not simple, she still has her feelings. “She knows that their relationship isn’t something she can revisit but that doesn’t mean that she doesn’t still have feelings for Chris. She does, and probably always will in one way or another,” the insider concluded. Without a doubt, the main reason why this report occurred and why these claims that Rihanna is wondering how her life would have been married to Chris Brown emerged, is linked to the fact that in this new book Brown revealed that before the much debated beating incident that happened during their relationship, he was going to propose to Rihanna. The newest sneak peak in the latest episode of Keeping Up with the Kardashians reveals that Khloe Kardashian might not find it so simple to become a mother. In fact, the show presented the visit that Khloe made with a doctor to talk about her fertility. The doctor did not have some amazing news for the famous star, as he actually told Khloe that she has fewer follicles on her ovaries than 32-year-old women normally do. This means that Khloe might have a struggle when she decides to try to get pregnant. Of course, Khloe was shocked by what the doctor told her. However, a series of comments immediately emerged on this subject, as during Khloe’s former reality show with ex-husband Lamar Odom, she actually was trying to get pregnant, but the two struggled with this and it just did not happen. 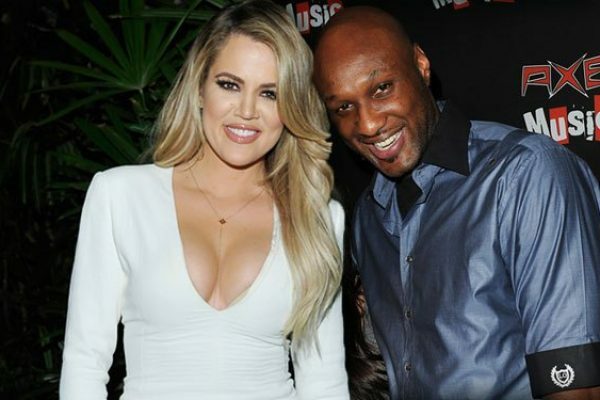 Lamar had children from his previous relationships, so everyone assumed that Khloe was dealing with a fertility issue. Khloe talked about this in another short clip from the show, which indicated that she told the doctor that she has never been pregnant before, but she has sort of tried it. “I fake-tried,” Khloe explained. “I was married, but I knew the circumstances weren’t the healthiest, so I just Kept pretending I was trying,” she said. Khloe went on to provide more details and said that “when I was doing my fertility treatments, like, they were more so for Lamar. I had to stop because there was much deeper stuff that was happening in our marriage. I knew, you knew, that it wasn’t the right kind of situation to bring a child into, and I think I’ve done a lot of covering up for him.” The star also claimed that she made it look like she had an issue because Lamar had a lot of things to deal with. So, without a doubt it seems that Khloe and Lamar were dealing with some serious marriage problems even before they announced their split. Well, it is yet to see the conclusion of this visit to the doctor. Khloe went for a checkup to see if she could be a surrogate for Kim and Kanye’s third child.